As a committed father, you want to know all about the important things in your child’s life, particularly their medical and educational information. If you don’t have main custody of your son or daughter, you might not be the initial point of contact for doctors and schools, and you may find yourself missing out on crucial information. This is a quick guide to the rights of fathers and the ways to make sure you are kept informed. First, however difficult it may be, you should approach the resident parent. Explain that you are interested in your child’s progress and wellbeing and that you would like to have the same information from school and doctors as they have. It will often be the easiest way to get access to documents, as your child’s mother will have all the information provided for them, and can simply forward copies on to you. If you are refused the information, ask the practitioner for information on how to make a complaint, or speak to the General Practice Manager. You can go one step further and speak to the Health Authority or the Information Commissioner, if you need access to your child’s medical records. 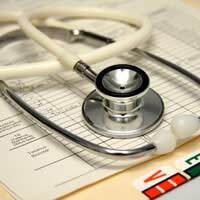 In some cases, your child may be moved from one doctor’s practice to another, and if this is the case, and you are unaware of the location of the new practice, you can write to the Area Health Authority, with proof of your Parental Responsibility, and they will inform you as to the new practice details. At this point, you must contact the new practice yourself as described above. The Department for Education and Employment has clarified that the parent with whom the child does not normally live is entitled (unless restricted by the Court) to the same rights as the parent with whom the child lives under issues relating to the Education Act. This means that as a parent, you have the same rights to information that the resident parent has. Under education legislation, if you are the natural parent or have been granted parental responsibility, you are within your rights to receive information regarding your child’s schooling. It is essential that you make sure that the school has your address and knows that you want the same information sent to both parents. To ensure the school knows that you want information and that you are entitled to it, contact your child’s school in a pleasant but firm manner. Explain that you, as a parent, are entitled to the same information to be sent home to you as well as the child’s mother. Put this request in writing, with enclosed proof that you are the child’s father. Be prepared for more questions, as schools and doctors have a duty of care to protect the child. If you have no court ruling denying you access to the child, you are legally entitled to the information. In some cases, schools will be less willing to allow information to be sent to the non-resident parent. If this is the case, contact the Local Education Authority (your local council will give you the details), citing the guidance from the Department of Education and Employment. Explain the fact that you have no Court Judgment against you but you are not being afforded your parental rights. They should help you to receive the school information in the same way that the resident parent does. School selection is not as straightforward as the resident parent ‘choosing’ their preferred school. It all depends on the catchment area of where the child resides. If speaking with the resident parent has not made a difference and you believe that your child’s wellbeing will be affected by attending a certain school, then you can apply for a Specific Order Issue. This is a last resort, as legal battles can be lengthy, stressful and put further strain on the whole family, including your child. Iv not really had contact with my son for the first part of his life (birth -4 years) due to my ex-girlfriend keeping me at arms length and constantly moving house, I live 50 miles away from her and when I asked her family to where she had moved to they just ended up blocking me on every social media. Iv never done anything wrong to her or my child and supported her through out the pregnancy even tho we wasn’t actually together as a couple, just over a year ago my know fiancée told be I should pay someone to find her so I could arrange mediation with her through a mediation company near her so she wasn’t the one doing the traveling, Iv been seeing my child for over a year now and have him every other weekend and call him in the week I haven’t got him Iv recently (after a very rocky road) got my name on the birth certificate as I found out after he was born that she hadn’t named me on it, my question is Iv had a solicitor letter from her which a lot of demands on it to which I feel they are very unreasonable. She said she is having a court order drawn up with these demands on it.. do I have to agree to her demands as unreasonable as they are ? I have a legitimate question is it to late to apply for a c1 00 for visitation to a child who is 14 and there has been no contactfor about 10years .i have been told bye a solicitor that the legal age for me approach her is 16 without court action and the mother can’t do anything .its only a couple off years away I am not in a strong financially position so I might take this option .or any advice on the court costs . @cath.wow thanks quite a story I don’t think it’s irrelevant to this blog .but it was a good story maybe join Mumsnet or maybe get some help .because sorry to bust your bubble darling this blog is about father rights to there children not about the stuff you just wrote about .god bless and keep safe maybe get some counseling ? My partners ex wife has breached 3 court orders by stopping contact. School attendance officers have been in touch with us as his attendance is a major cause for concern. Can my partner be fined for the non-attendance when his child doesnt live with him and we have been refused contact for the past 12 months? My children from a previous marriage have been living with me and my new wife since June 2016 and moving back to the the UK. She has now imposed with moving 3 minutes walk away and is has brainwashed the kids to be moving in with her. It has only just come to light that there has been another man in her life for the last year. whilst i am happy for her to be moving on, i was not aware that my young boys have and will have another man under the same roof. My ex also has made it a mission for me not to find out until now. Is this scenario viewed as deceit in the eyes of the law? And given my ex does not have a stable home and extended family what are my options on continuing to be the main carer of the children? Note that the divorce was simply a divorce without any other pre conditions or custudy undertaken whilst living abroad. She has never paid any alomony and has clearly made the children lie to me about this new man in her home. Please can someone advice what i should do? My new wife loves the kids and has truely mothered them in the deepest and most sincere way and is upset about the lies and deceit. Any advice would be greatly appreciated. Can my ex keep back from me where he lives and where my daughter goes twice a week to stay over with him is this against the law ?? My partner has 2 children and there is a current court order for arranged contact. Mother of the children has moved house without informing us and we dont know where to pick them up from or drop them off to. Is it against the law for her to move house and purposely not tell us in order to make things difficult for us. Should my partner be informed? Is she breaking court order? Is it againt the law? Ive been court for the right to see my daughter and parental responsibility but now my ex is keeping info from the doctors from me,it all started when we fellout over her wanting my daughter half a day early on Christmas day.ive not spent a Christmas with my daughter in 4yrs and its what I fighted for in court really dont know what to do,its now been 3 weeks since my daughters went the hospital and no matter how many time I ask she wont tell me. Since February we have had a mediation agreement or mutual agreement in place, with me being the main carer and our three youngest children living at the family home me having them 9 nights out of 14, the ex has just broken the agreement and taken the kids, today I found out she has removed our youngest daughter from our doctors, can she do this ?? I have found out today that my 2 children were taken out of school for 7 days to go on holiday abroad with their mother. As I am on the birth certificate and have parental responsibility, I am deeply upset with this as I found out the day after they returned. I am miffed that the school didn’t even ask if I was happy with this. What rights do I have, and has the law been broken? Thanks for the helpful advice. What is the source for the DfEE guidance that you quote? "The Department for Education and Employment has clarified that the parent with whom the child does not normally live is entitled (unless restricted by the Court) to the same rights as the parent with whom the child lives under issues relating to the Education Act." I would like to quote this to my daughter's school. I haven't yet got PR in the process.my 15 year old daughter wants to see me is it legal for me to see her if I see her in the street and talk with her and drive around locally with her.she doesn't want the mother knowing as she would be infore a good telling off for seeing me.you may say wait but is it legal for me to see her in the circumstance. It is not illegal to talk to your child without the express permission of the other parent. However, you are going through the process of gaining PR or access through the courts it may be wise to take the legal route if it gives your ex ammunition to make accusations (if she is against you seeing your daughter). I haven't yet got PR in the process..my 15 year old daughter wants to see me is it legal for me to see her if Isee her in the street and talk with her and drive around locally with her.she doesn't want the mother knowing as she would be infore a good telling off for seeing me..you may say wait but is it legal for me to see her in the circumstance. My daughter is 16 and about to start sixth form in September. Do I still have parental rights to information from her new sixth form? Unfortunately, there are no rules here. Most parents like to know where their children are when their children are not in their care, so it's understandable why your ex may wish to know your address. This can be viewed as responsible parenting. However, if for whatever reason you do not wish to tell your ex, then you are both at loggerheads. Therefore, the issue should be resolved through mutual negotiation, or mediation. My ex has our children, they do not want to have contact with me. They have been on a child in need plan due to concerns of my new partner, the social worker has said she is closing as children are safe and do not meet threshold. Can I bring family and friends to the meeting? I've found out my children and ex habe moved to a new house but won't give me the new address but I should know where my children live. The social worker said its up to him. Do I have to go to court to see my children and will the judge make them See Me? You would have to apply to court if your ex refuses, please see the link here. My ex has our children,they do not want to have contact with me.They have been on a child in need plan due to concerns of my new partner, the social worker has said she is closing as children are safe and do not meet threshold.Can I bring family and friends to the meeting? I've found out my children and ex habe moved to a new house but won't give me the new address but I should know where my children live.The social worker said its up to him. Do I have to go to court to see my children and will the judge make them See Me? I am sorry to hear this. Unfortunately, we canot advise as Canadian family law a different to English family law, which is what we specialise in. You would have to seek legal advice in your locality. Whatever your ex does without your consent and you which you do not agree to with regards to your child, then your only recourse is to either try to resolve the matter via mediation or challenge her decision through court.